The Tacoma has reigned uncontested for decades, any attempt at dethroning the pinnacle overland pickup a (mostly) pathetic attempt. The Toyota has always managed the perfect balance of reliability and performance, creating an unwavering fan club and massive aftermarket support. However, the competition knows this and several manufactures will attempt to challenge the Tacoma’s reign. While the Jeep Pickup is still a few years away, Chevrolet has taken a direct attack against the category champion with aggressive performance and an available Duramax diesel. When we consider the needs of the adventure traveler, performance, capacity (payload), range, durability, and reliability all come to mind. In recent years, GM has significantly improved quality and reliability while also injecting some much-needed excitement into the brand. The ZR2 is not just an appearance package, but a complete segment-fighter with long-travel suspension, front and rear locking differentials, wider track, more clearance, and a diesel engine. Initial review looks promising, particularly with the Duramax. We tested a non-ZR2 model recently and consistently achieved mid-to-high 20mpg numbers. This directly relates to range over long distances in remote areas. We look forward to grabbing a test unit soon and reporting back on how the ZR2 performs. For now, here is the press release. . . 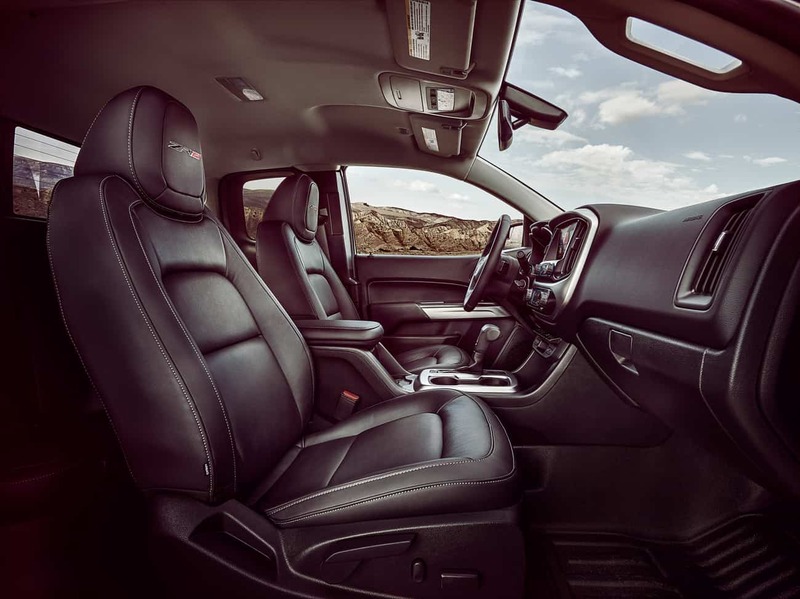 The ZR2 is effectively a segment of one, combining the nimbleness and maneuverability of a mid-size pickup with a host of new off-road features and the most off-road technology of any vehicle in its segment. Compared to a standard Colorado, the ZR2 features a much wider track and a lifted suspension. 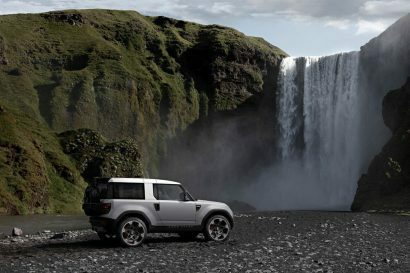 Functional rockers have been added for better performance over rocks and obstacles, and the front and rear bumpers have been modified for better off-road clearance. Class-exclusive features include front and rear electronic locking differentials, available diesel engine, and the first off-road application of Multimatic Dynamic Suspensions Spool Valve (DSSVTM) damper technology. 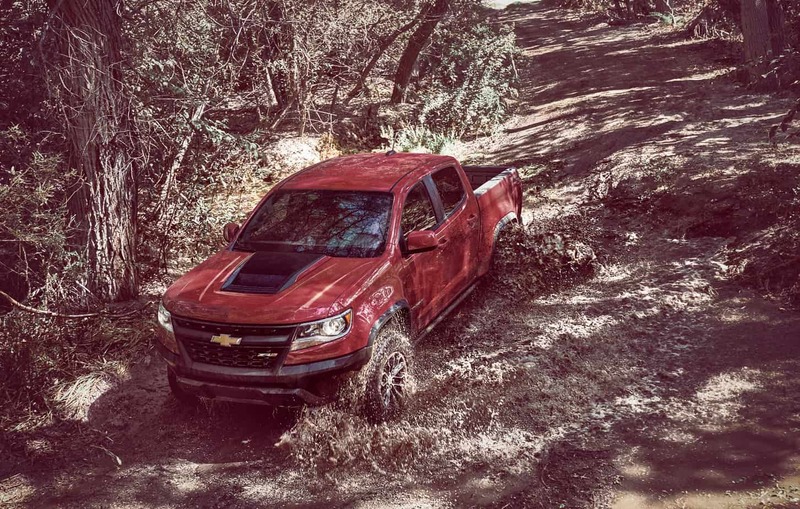 As a result, the Colorado ZR2 delivers exceptional performance in a variety of scenarios – from technical rock crawling to tight two-track trails to high-speed desert running to daily driving. 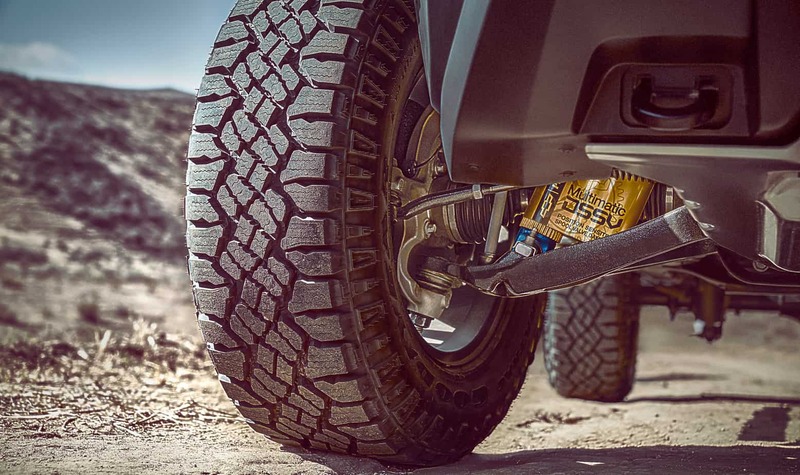 To achieve this unprecedented balance of on- and off-road performance, the Chevy engineering team turned to a surprising partner in creating the ZR2’s dampers, which are the heart of any off-road truck. 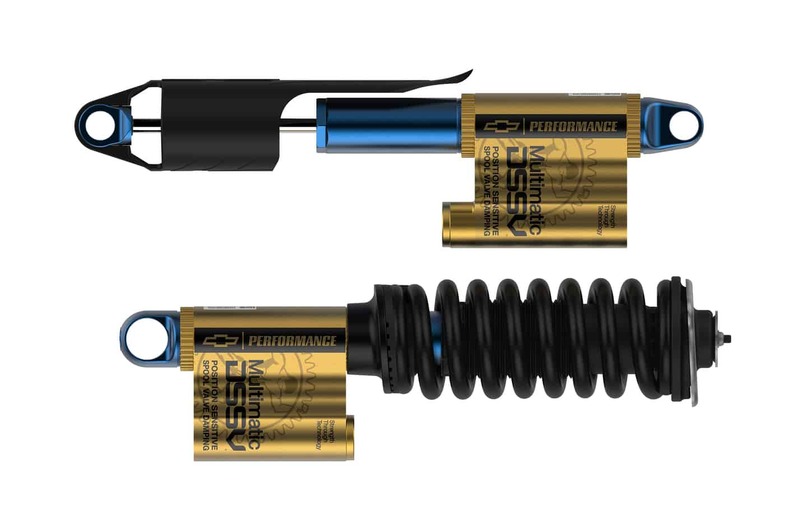 Multimatic Inc., based in Markham, Ontario, is a renowned maker of high-performance Dynamic Suspensions Spool Valve (DSSV) dampers as used in championship-winning motorsport vehicles, including recent Formula One winners. The first volume production vehicle to use DSSV dampers was the 2014 Chevrolet Camaro Z/28. The 2017 Chevrolet Colorado ZR2 will be the first application of Multimatic DSSV damper technology to an off-road vehicle. Compared to deflected-disk valving common on most dampers, the ZR2 employs spool valves that offer increased precision and manufacturing repeatability along with enhanced ride and handling performance both on- and off-road. The Colorado ZR2’s DSSV dampers are position-sensitive. Their aluminum bodies each house two spool valves providing both compression and rebound damping optimized for everyday driving. During extreme off-road use, a third, piston-mounted spool valve delivers additional, uniquely tuned, compression damping. The front dampers also employ a separate rebound valve, which comes into play when the suspension approaches full extension. Visually, the production version of the Colorado ZR2 closely resembles the concept shown at the 2014 Los Angeles Auto Show. Consumer response to that concept was so overwhelming, the team knew they needed to carry as much of the original design into production as possible. Compared to a Colorado Z71, the ZR2 has a more aggressive side profile, with the suspension lifted two inches for greater ground clearance. The steel-tube, functional rocker protectors will be standard equipment on the ZR2, and are strong enough to protect the body side while dragging the truck against a rock face. The ZR2 also features 17 x 8 inch aluminum wheels, in a pattern exclusive to the ZR2, wrapped in 31-inch Goodyear Duratrac off-road tires for exceptional traction. 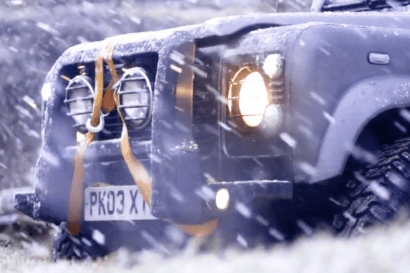 The front and rear track has been widened by three-and-a-half inches, with new cast-iron control arms for greater durability in off-road situations. As a result, the ZR2 offers greater wheel travel and stability while traversing steep grades. The front bumper of the ZR2 has tapered ends, to increase the tire clearance when approaching obstacles. The bumper also integrates a thick, aluminum skid plate protecting the radiator and engine oil pan, while the transfer case is protected by an additional shield. Above the bumper, the ZR2 features a more aggressive grille and hood – with black insert – to complement the other exterior changes. A bed-mounted spare tire carrier, seen on reveal vehicles at the Los Angeles Auto Show, will be available as an accessory. “The bed-mounted spare tire adds a rugged look to ZR2, and serves a functional purpose. 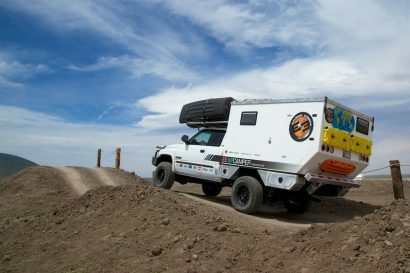 By relocating the spare to the bed, ZR2’s departure is improved and prevents any damage to the spare when you’re crawling over obstacles,” said Scheer. Extensive work was done to integrate the electronic lockers and allow them to seamlessly interact with the traction control, stability control, and hill-descent control. 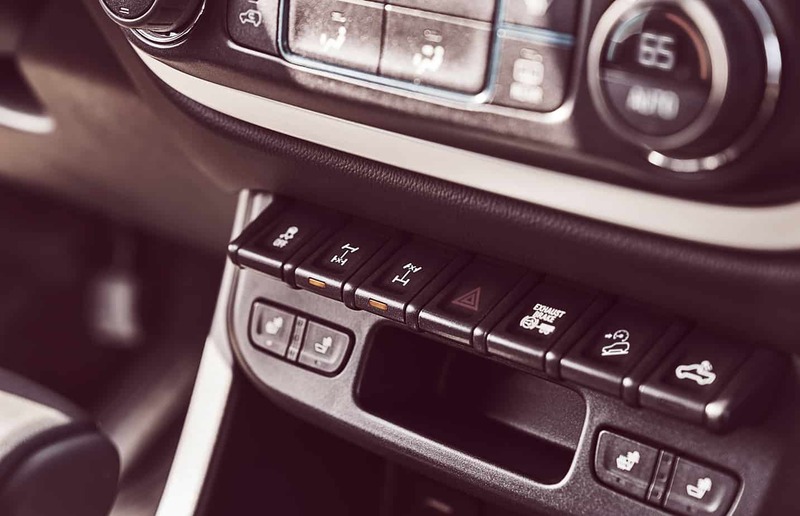 In addition, a new “Off-Road Mode” button, in combination with the traction control switch, allows the anti-lock brakes, traction control, and stability control calibrations to be tailored to different driving conditions. Off-road Mode also alters the throttle progression and shifts calibrations to give the driver better control and responsiveness. The ZR2 shares its powertrains with the 2017 Colorado, and it will be the only extreme production off-road truck to offer the choice of gas or diesel engines. The all-new 3.6L V-6, mated to a class-exclusive Hydra-Matic 8L45 8-speed automatic transmission, yields 308 horsepower and 275 lb-ft of torque, while the class-exclusive Duramax diesel engine produces 181 horsepower and 369 lb-ft of torque and will provide excellent range to overland drivers. Even with all of the off-roading upgrades over the base truck, the ZR2 can still tow up to 5,000 lbs. – enough to pull a camper, trailer dirt bikes, jet skis, snow mobiles and other toys – or carry 1,100 lbs. of payload. 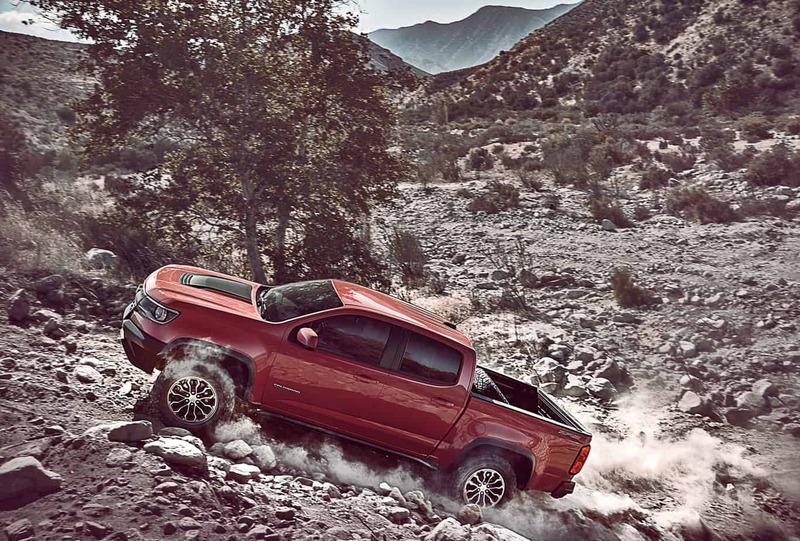 As such, the Colorado ZR2 offers a distinct position in the market: Compared to other midsize trucks, the Colorado offers an unrivaled suite of powertrain technologies; compared to full-size off-road trucks, the ZR2 is about a foot narrower and 500 pounds lighter, enabling greater agility over obstacles and better trail access. 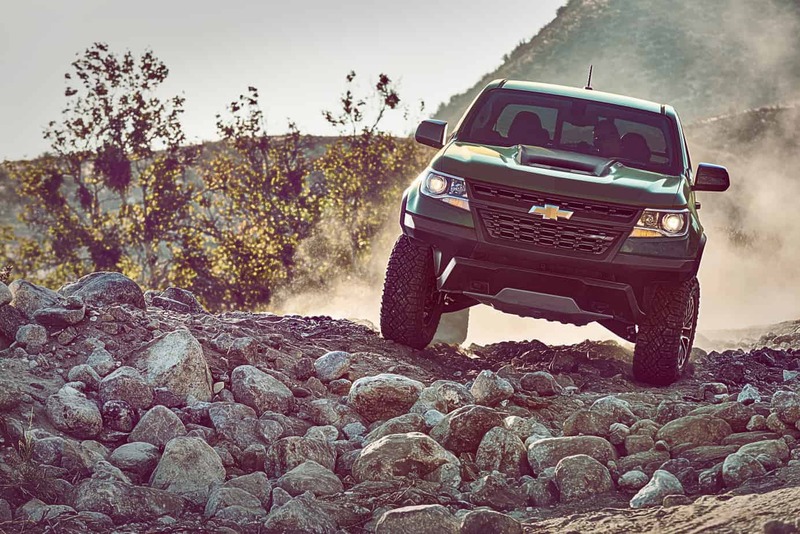 For the development of the Colorado ZR2, Chevrolet developed new off-road test areas at General Motors’ Yuma, Arizona Proving Ground. The Yuma Proving Ground is located on 2,400 acres of land in southeastern Arizona. Opened in 2009, Yuma features a range of tracks, laboratories and courses. The new off-road facility features a multitude of off-road simulations, including high-speed desert sand trails; low-speed, loose river rock crossings; and steep, technical hill climbs and descents. Yuma Proving Ground’s new off-road course allowed the team to test multiple iterations of components on the ZR2 is a single day. These components were then tested a real-world facilities like Moab, Johnson Valley, and Rubicon to ensure the ZR2 is trail-ready right from the factory.